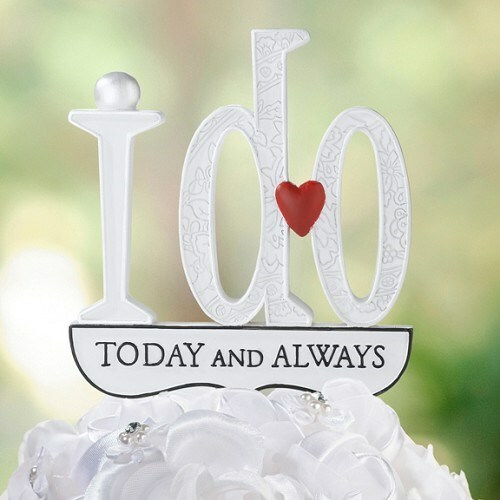 DescriptionThis fun "I Do" cake topper makes the perfect finishing touch on the wedding cake. Decorative grooves on the word "do", a small red heart and the words "today and always" on the bottom make it perfect for the occasion. It measures 4" x 4.25" and is made of resin.